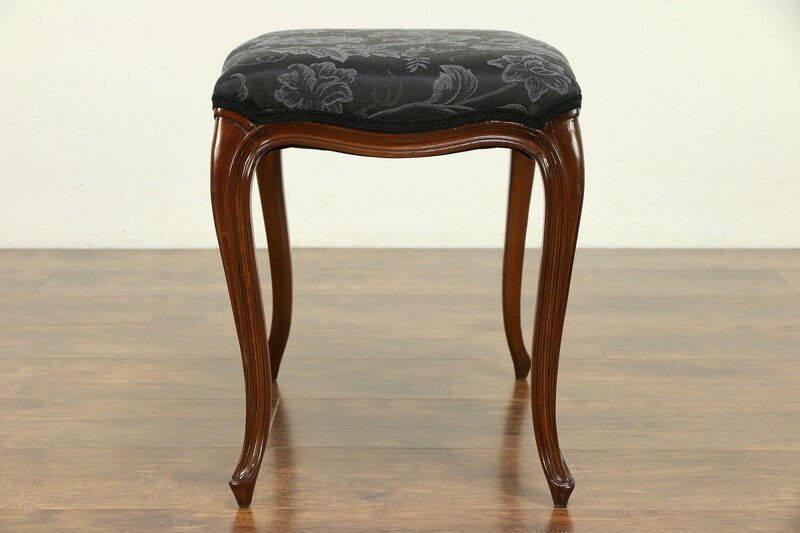 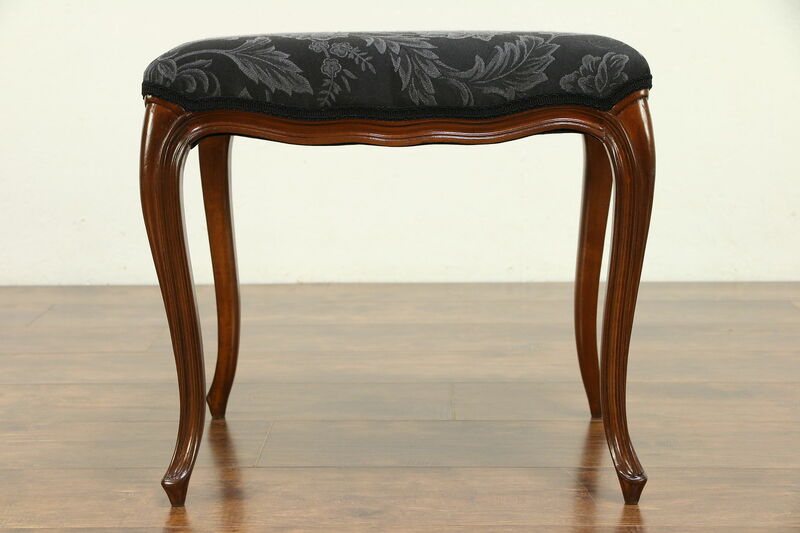 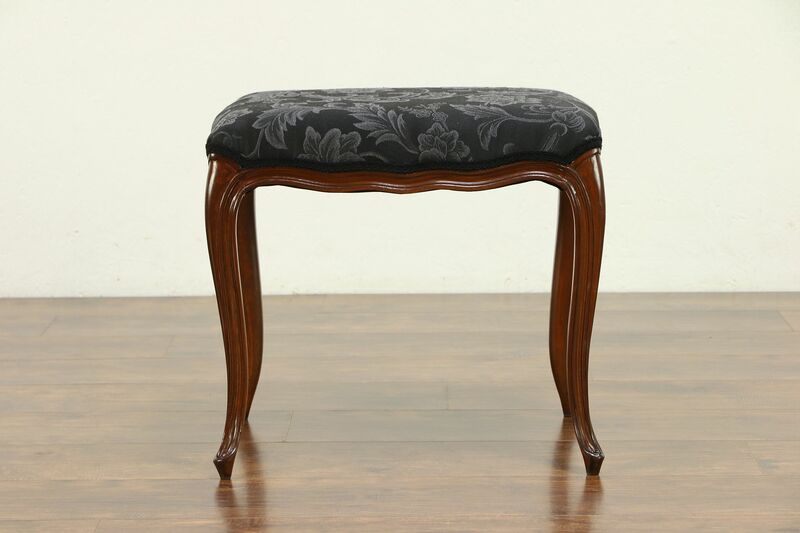 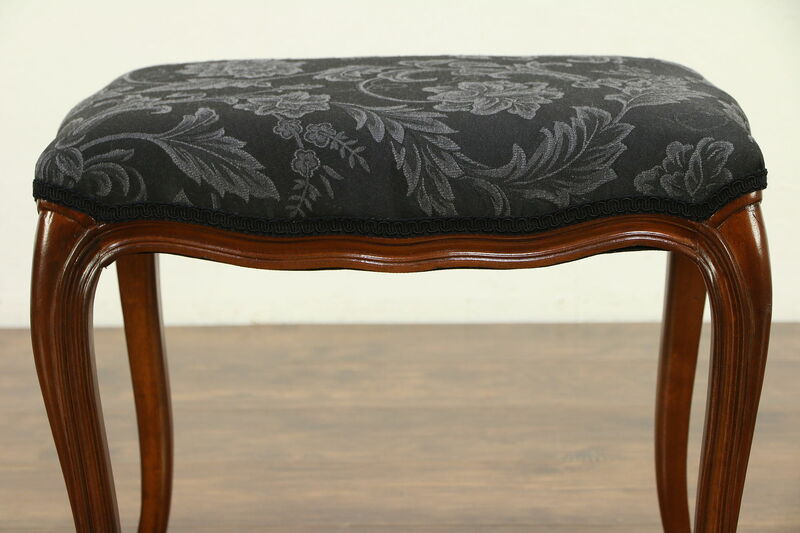 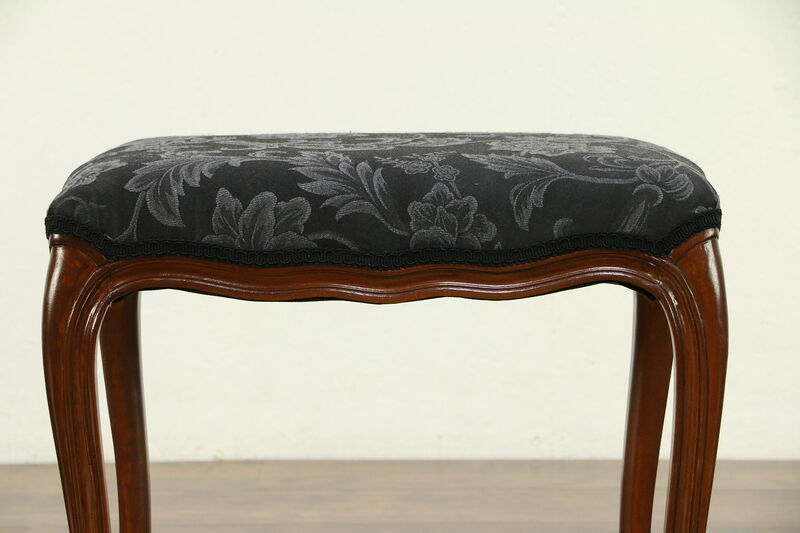 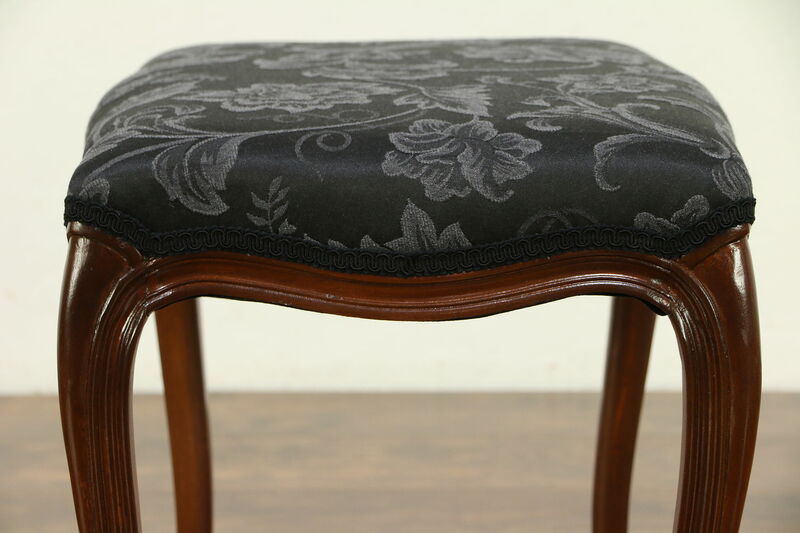 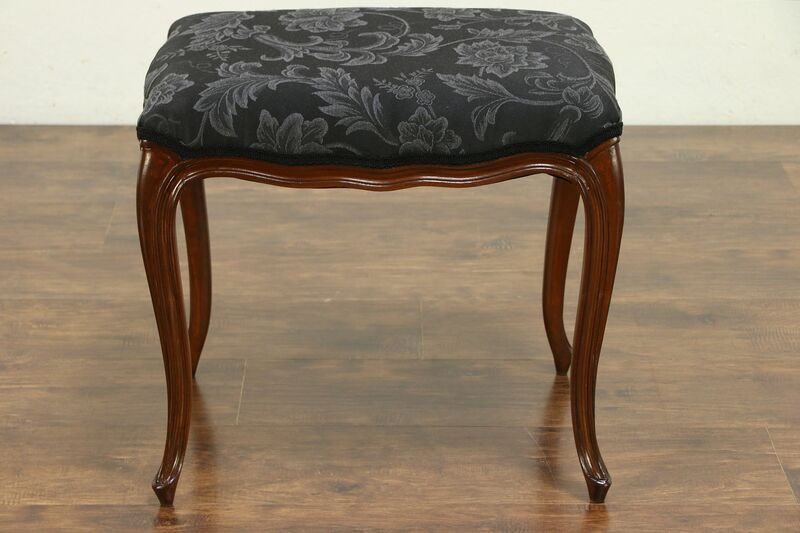 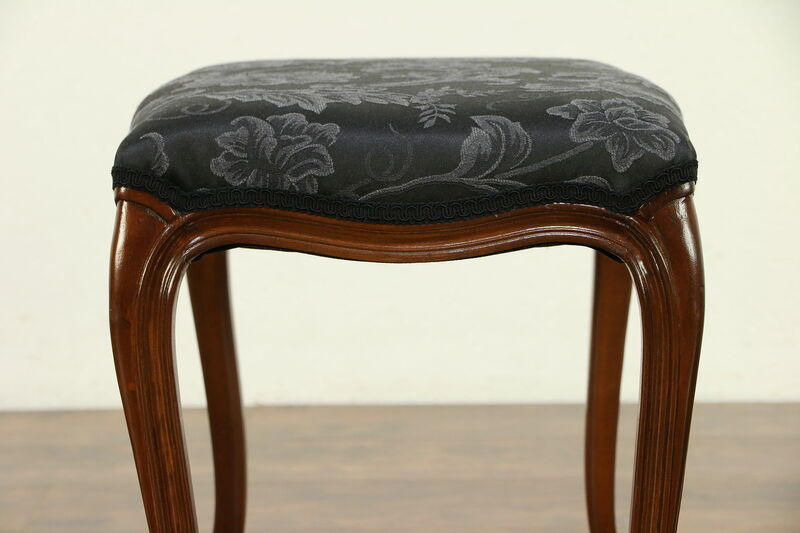 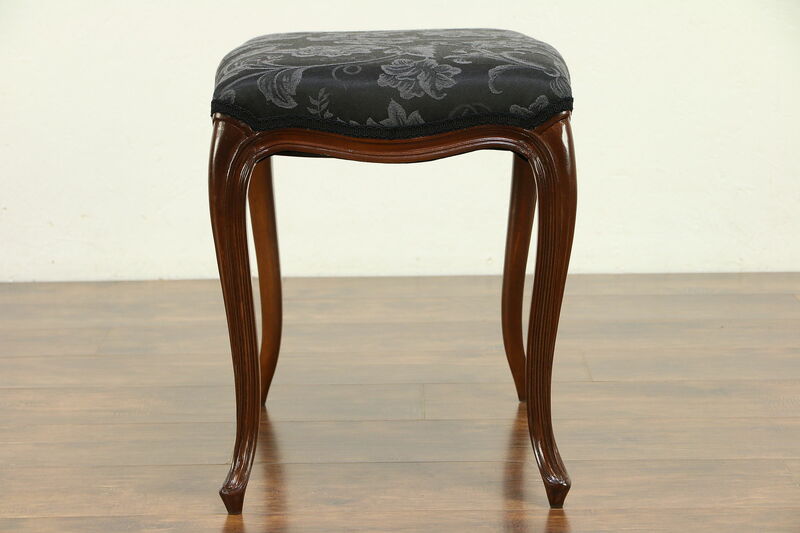 Carved of solid fruitwood in the French manner about 60 years ago, this stool has been newly upholstered. 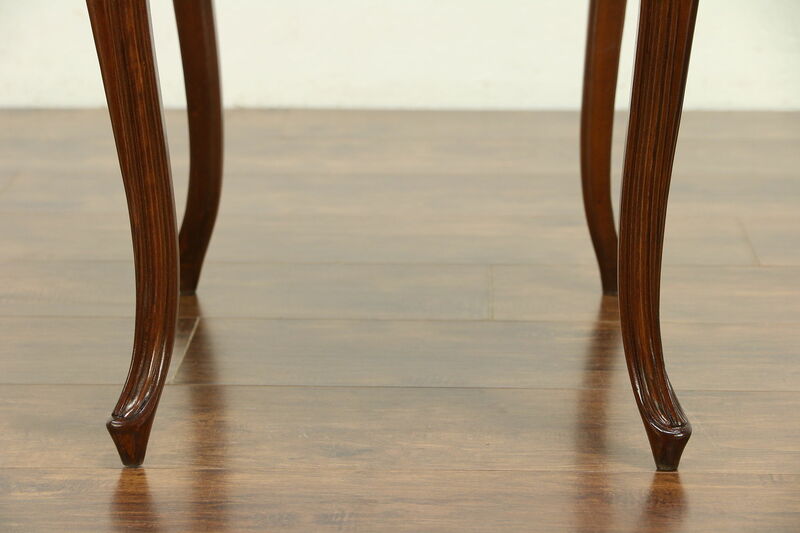 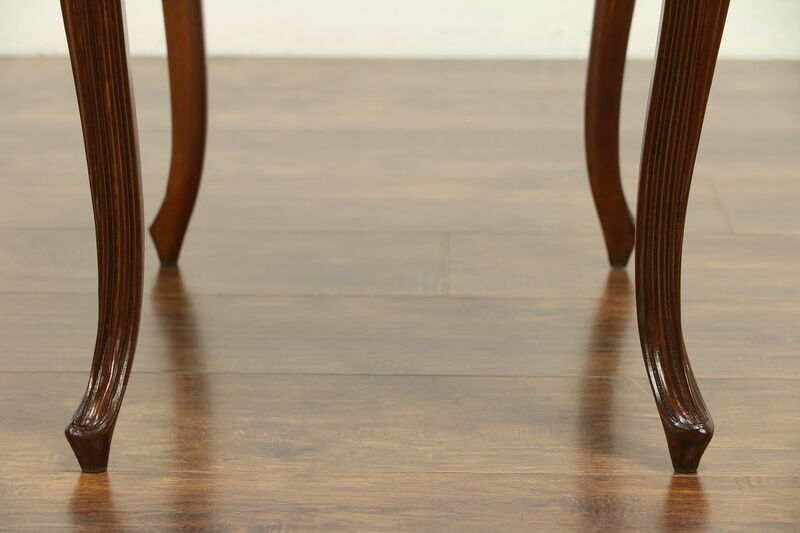 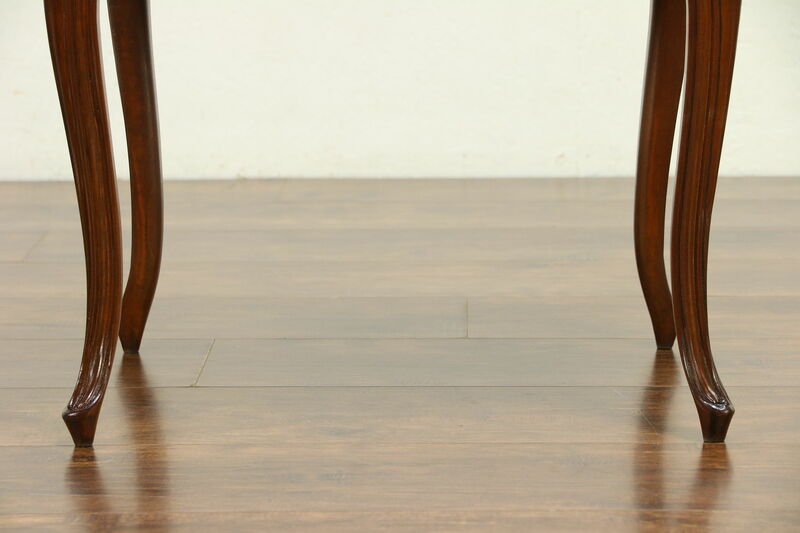 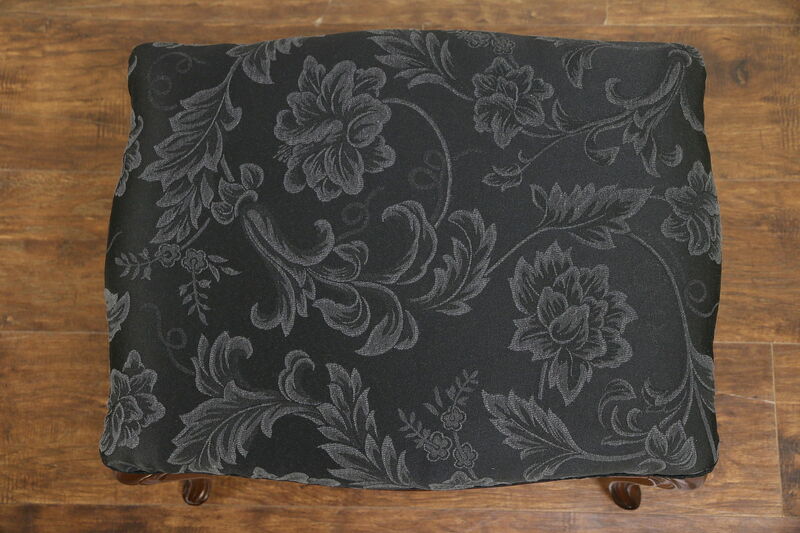 The restored finish is in excellent condition on this graceful and sturdy vintage furniture. 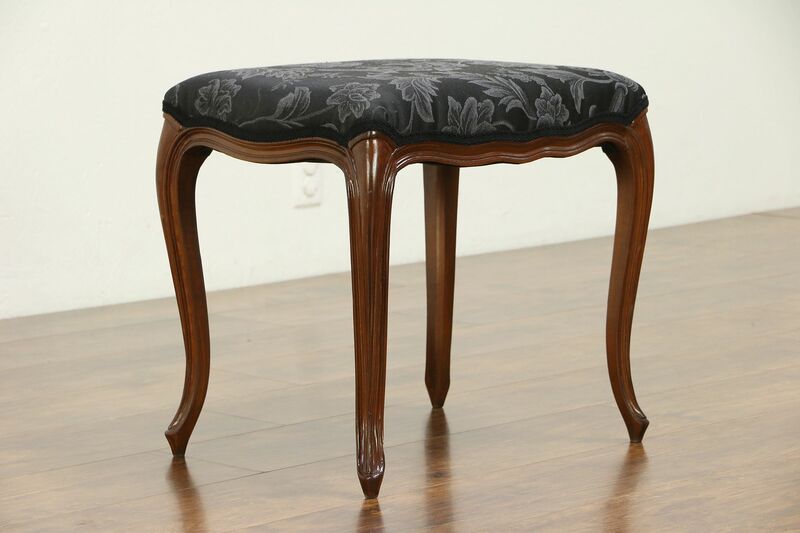 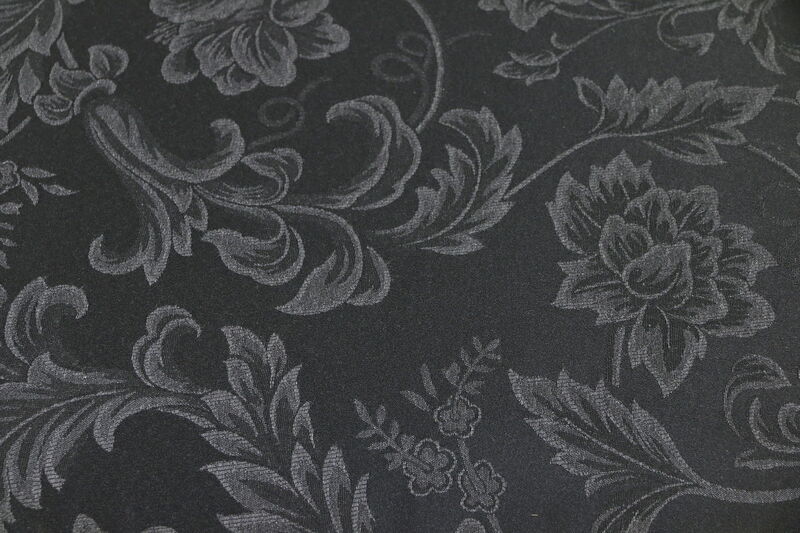 Size is 21" wide, 15" deep and 19" tall. 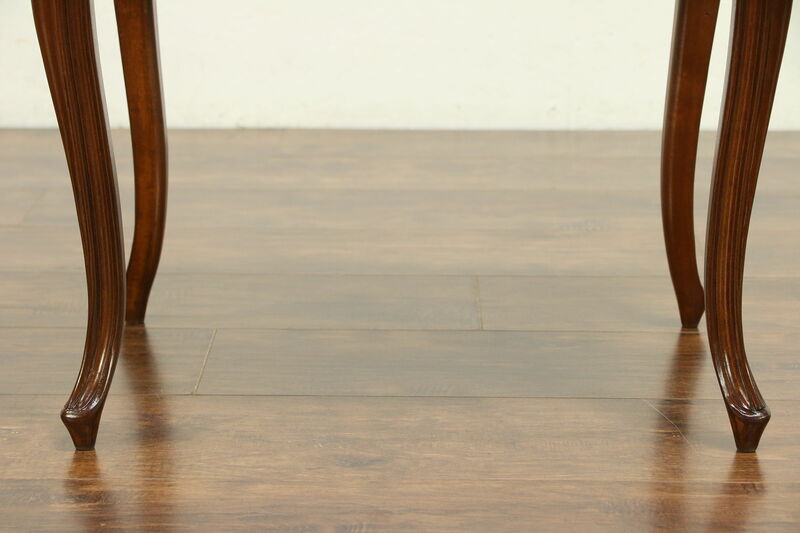 We are happy to request an independent shipping quote from our local UPS pack and ship store, please contact us with your zip code.